Manage and track time spent on all the projects with WORKPLAN’s time management functions. Data can be entered through touch screens, workstations, barcode readers or time cards. This functionality can also help you track and report on unproductive tasks, employee hours, time spent correcting problems or other quality issues, overtime, leaves, holidays and more. WORKPLAN’s Time Management is an easy to use, all-in-one tool to manage employees' attendance, hours and track their progress on tasks. WORKPLAN helps you checking the times spent at each scheduled work center of the project. 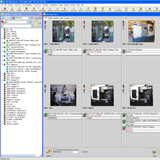 Data can be entered from a computer terminal, touch screen, barcode readers or via manual input and time cards. 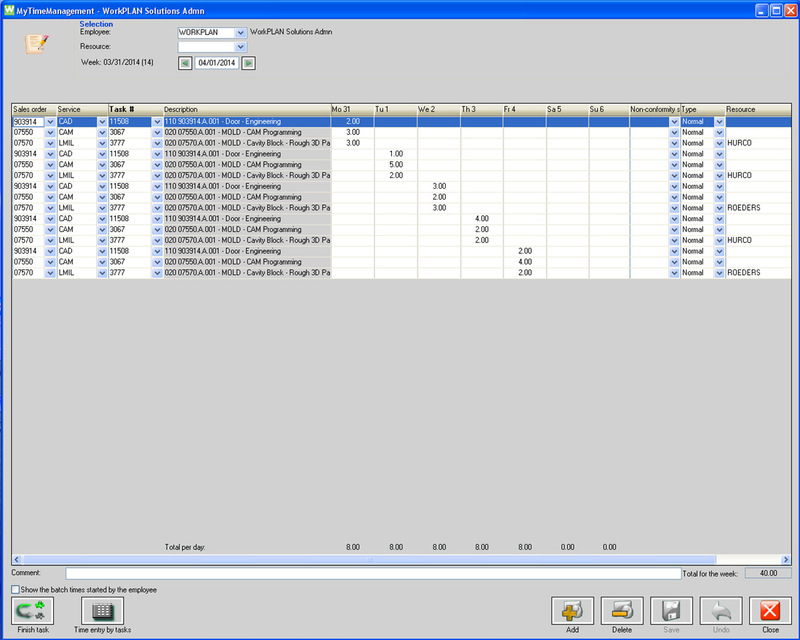 Data can be sent for payroll, as well as used in regular reports. Leaves can be tracked, overtime accounted for, breaks monitored and holidays can be entered and viewed into the system. Time management allows for real time tracking on available machine capabilities, subcontract status, remaining times to complete a task, etc. 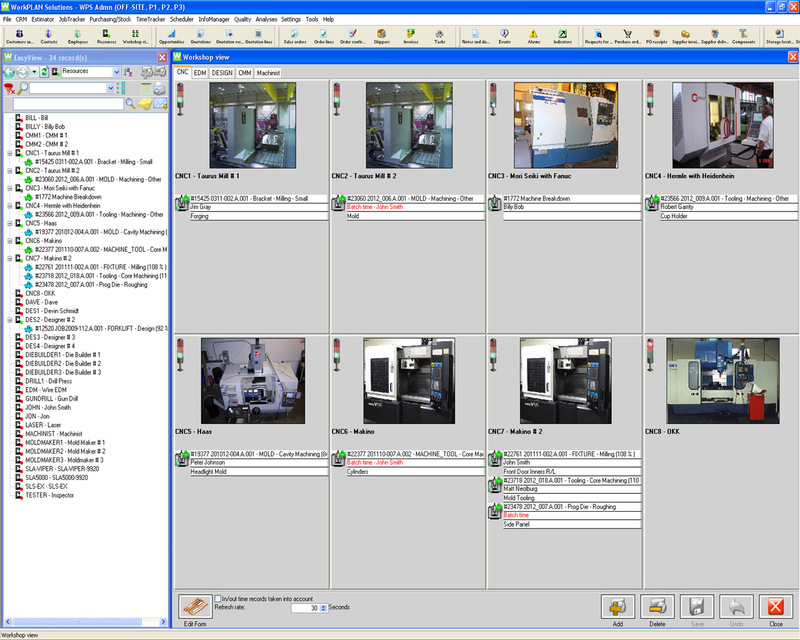 Managers can view a special workshop view, allowing them to see in real time which task is being performed on each machine and by each employee.